Head – Almakayeva Lyudmila Grygorivna, Doctor of Pharmaceutical Sciences, senior research scientist. According to the order № 328 dd. 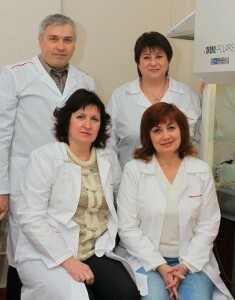 11 May 2011, in the National University of Pharmacy (NUPh) there was established a research laboratory of parenteral and oral liquid medicines (hereinafter laboratory). The laboratory was created with the aim to conduct researches on development of technology and documentation of parenteral (injection, infusion and lyophilized), oral liquid medicines and training of scientific and pedagogic personnel of higher qualification in accordance with the specified area of research. Laboratory is a structural subdivision of Research and Training Centre of the National University of Pharmacy. 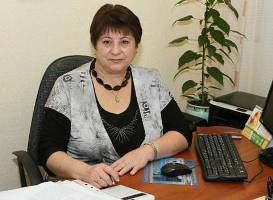 Laboratory is subordinated to the vice-rector for scientific work of the University. The work of the laboratory is performed in accordance with the Regulations on conducting scientific and research works in higher education institution. The laboratory in cooperation with pharmacological and analytical laboratories conducts experimental researches on current problems of technology of drugs, and development of new parenteral and oral liquid medicines in accordance with approved scientific plans of the laboratory activity and also performs works on cost accounting theme. Theoretical and experimental grounding of compatibility of active substances and excipients (sweeteners, preservatives and flavors, etc.) for creation of new combination medications, especially in the form of syrups for children. Development of new original drugs based on BAS of synthetic and plant origin of different action. Development of combined drugs on the basis of the investigated substances. Development of parenteral drugs of prolonged action. Development of generic drugs for parenteral use. Study of the possibility to expand the range of excipients used in parenteral preparations. Study of the influence of the primary packaging materials for stability of the developed drugs (PVC, polyethylene, polypropylene, polyethylene and glass). Development of technical documentation for medicines and introduction into manufacture. Development of generic and original drugs in the form of syrups and solutions for oral use, including pediatrics. Provision of scientific and consultative advice to companies in the sphere of manufacturing technology of medicines and elaboration of documentation. Teaching students the technological methods of parenteral drugs’ development and consultative assistance in writing graduation works. The personnel of the laboratory. The laboratory workers are qualified specialists in the sphere of development of parenteral and oral liquid medicines, who have experience in this field for over 20 years (former employees of the State Enterprise “State Scientific Center of Medicines”). Involving such employees, basic and applied works can be conducted. The laboratory has experience in cooperation with other scientific organizations and industrial enterprises of Ukraine, Russia and other CIS countries for the development of new pharmaceutical technologies. More than 60 original and generic drugs were put into production on the basis of research works of the laboratory. The laboratory developed a number of original products based on amino acids. These are cardiovascular drugs and of hepatoprotective action: Asparcam, Taurykam, Hlutakam, Glutarginum, Kardioarhinin, etc. According to the technology of salt formation the original drug of anticonvulsant action for all kinds of epilepsy treatment – Difenat – was obtained directly while preparing the solution. There was created a series of original drugs in the form of syrups. These are syrups: Kodephemol, Kardioarhynin and Tivortin, etc. These preparations obtained patents of Ukraine and Russian Federation. Using the original technology there was first solved the problem of stability of 10% injection solution of calcium gluconate, which is now successfully produced. Formulation is protected by the international patent. The laboratory has experience in developing injection generic drugs of different action: Mildronatum, Gliatilin, Tsytikolin, Ondansetron, Vinpocetine, Metoclopramide and others. The laboratory developed and implemented in manufacture infusion drugs of antimicrobial and antiparasitic action – Metronidazole, Ciprofloxacin, Fluconazole in a glass box as well as in the polymer one (PVC containers, polyethylene and polypropylene). The laboratory conducts researches on the development of parenteral drugs for other pharmaceutical companies of other countries: OJSC “Valenta Pharmaceuticals”, OJSC “STADA Farm Development” Ltd. Russian Federation, JSC “Borysovskii plant of medicines” Belarus and others. Since the creation of the laboratory in the NUPh in 2011, there were conducted researches to develop new technology of injectable drugs based on meloxicam for the pharmaceutical company OJSK “Stada Farm Development”, the Russian Federation. In 2012 – 2013 the laboratory was working on creation of new original medicines for injection, solid caps based on combinations of two nucleosides with vitamins and original combined injectable drug for the treatment of acute CNS hypoxia for “Valenta Pharmaceuticals”, Russian Federation. The laboratory is equipped with modern facilities for scientific and research works aimed to develop technologies of parenteral and oral liquid medicines. Алмакаева Л.Г. Основа качества препарата – фармацевтическая разработка / Алмакаева Л.Г. , Науменок Л.Г. , Бегунова , Судьба В.Г. , Алмакаев М.С. / / « Управление качеством в фармации» Мат . VI научно – практической конференции с международным участием 12 октября 2012 , Харьков . – С. 25 . Алмакаева Л.Г. Исследования стабильности инфузионных растворов в по – лимерной упаковке / Алмакаева Л.Г. , Бегунова , Науменок Л.Г. / / « Товаро – Сердцеведец аспекты потребительских товаров» Мат . ИI научно – практической конференции с международным участием 19 марта 2013 , Харьков . – С. 4-5. Алмакаева Л.Г. Исследования по выбору первичной упаковки для орального раствора аргинина аспарагината / Алмакаева Л.Г. , Бегунова , Алмакаева М.С. / / « Товароведческие аспекты потребительских товаров» Мат . ИI научно – практической конференции с международным участием 19 марта 2013 , Харьков . – С. 6-7. Алмакаев Л.Г. Политика валидации в производстве парентеральных лекарственных средств / Алмакаев Л.Г. , Науменок Л.Г. , Бегунова Н.В. , Судьба В.Г. , Алмакаев М.С. / / « Управление качеством в фармации» Мат . VII научно – практической конфе – ренции с международным участием 17 мая 2013 , Харьков . – С. 11 . Алмакаев Л.Г. . Некоторые аспекты разработки плана валидации производства раствора на для орального применения / Алмакаев Л.Г. , Науменок Л.Г. , Бегунова Н.В. , Судьба В.Г. , Алмакаев М.С. / / « Управление качеством в фармации» мат . VII научно – практической конференции с международным участием 17 мая 2013 , Харьков . – С. 12 . Л.Г.Алмакаева , Л.Г. Науменок , Н.В. Бегунова , В.Г. Судьба , М.С. Алмакаев Совершенствование технологии производства кальция хлорида , 10 % раствора для инъекций / / Вестник фармации . – 2013 . – № 3 (75 ) . – С. 8-11 . Л.Г.Алмакаева , Л.Г. Науменок , Н.В. Бегунова , В.Г. Судьба , М.С. Алмакаев . Ро – зробка состав лекарственного средства на основе мелоксикама / / Вестник фармации . – 2013 . – № 3 (75 ) . – С. 31-35 . Л.Г.Алмакаева , Л.Г. Науменок , Н.В. Бегунова , В.Г. Судьба , М.С. Алмакаев , Св.М.Коваленко . Разработка состава оригинального комбинированного лекарственного препарата на основе тиоктовой кислоты и таурина в форме раствора для инфузий – составная часть фармацевтической разработки / / Управление , экономика и обеспечения качества в фармации . – 2013 . – № 4 ( 30). – С.17 -22.